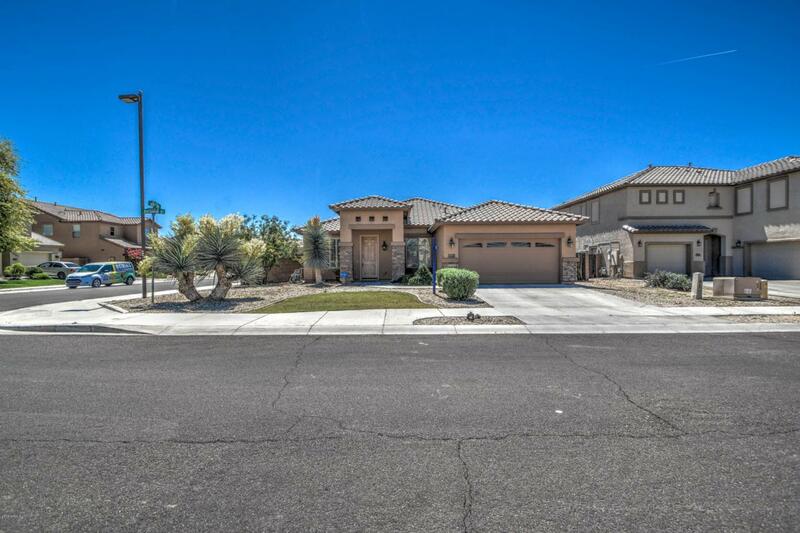 Now this is a fantastic corner lot home you will fall in love with. The first thing you'll notice is the fantastic curb appeal of the home. Beautiful tile flooring through the main walking areas. Simply a fantastic kitchen with breakfast bar, double wall ovens, pantry, island, granite counter tops, and upgraded cabinetry. Separate living & family rooms. Back yard has covered patio and easy to maintain landscaping. Great open floor plan and an extremely well maintained property. Hurry and come take a look before it's gone. Thanks for stopping in. Cross Street Yuma Rd. & Cotton Lane.